How much Time Should I Spend Pool Cleaning? Owning a swimming pool is lots of fun-that is, so long as it stays clean. One of the biggest questions we are asked here at Aquanomics Pools is “How often should I clean my pool?” Is all the recommended pool maintenance really necessary, or can you get by with cleaning a pool less often? Keep the following things in mind. 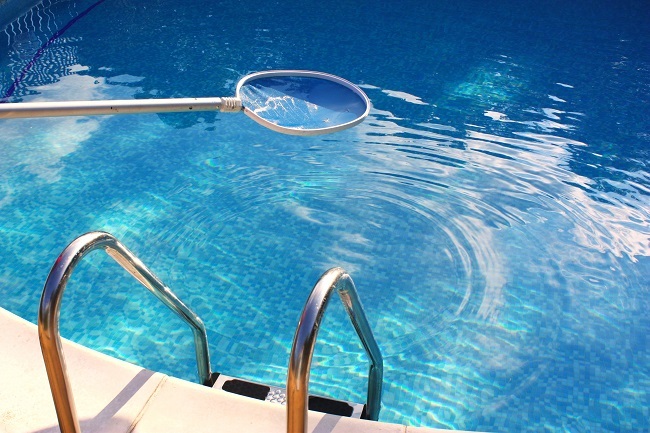 A clean pool is one you can readily enjoy during the swimming season. Even small amounts of leaves or debris can reduce the effectiveness of chemicals. This is why you should scoop leaves and clean your skimmer basket on a daily basis. Give your pool a thorough vacuuming at least once per week. At the same time, scrub down the tiles to prevent buildup that might cause stains. Backwash your pool 2-3 times per week, just before adding chemicals. At the same time, check to see that your jets are flowing freely. If water is moving slowly through them, a good cleaning might be in order. Maintenance is still required during the off-season, but on a less frequent basis. Rather than scooping leaves daily, you can probably get by with doing so every few weeks (provided your pool is covered, that is.) The number of trees located near your pool will largely determine this frequency. Inspect all pipes and hoses for signs of leaks. Replace caulking as needed. Clean and rinse pool cartridges. Change sand or Diatomaceous earth when it becomes clogged or excessively dirty. Remove leaves and debris from skimmer basket. Keeping your pool clean is essential to your enjoyment of it. If you are unable to keep up, or would like to spend more time swimming and fewer hours cleaning, please contact us.